Would you be interested in the opportunity to join a billion pound Energy Management company that design, manufacturer and service all of their products? One of the world's largest Energy companies are looking to expand their engineering team that focus on LV, MV, HV and Switchgear. Our client are forward thinking, and voted in the top 10 companies to work for in the UK. These roles don't come about often so if you have a strong electrical background installing switchgear/transformers (400v-132kv) into substations then I'd like to talk. We are looking for a number of electrically biased Electrical Fitters to join the Field Engineering team to be based in Scotland. The company has just been given the green light on two major contracts overseeing four hundred sites across Scotland so you'll definitely be kept busy. If you have worked for any of Distribution Network Operators before either on a subcontract or permanent basis this would be very relevant. This is an outstanding opportunity for an Electrical Fitter to take the next step in their career. Routes for progression are clear. The ideal location will be in Scotland and the majority of the work is in that area but you`ll need to be flexible regarding travel. There may be times when you have to stay away a couple of nights a week so you'll have to be up for that. 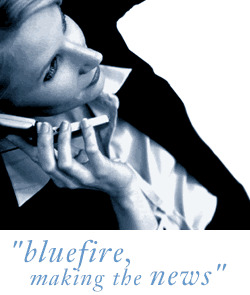 Click "apply" on this page or send your CV and cover letter to r.whiston@bluefireconsulting.co.uk or if you want to discuss the role over the phone initially call 07393013013 for a confidential chat.